Advocate Hans Raj, originally R/o Vill. Dalowali, Dist. Sialkot (Pakistan) is greatly remembered for fighting against the Aryan culture of economic and political exploitation, for being intrumental in getting reservation in politics and services for Meghs under various provisions by the Government of India, and for getting them allotted the agricultural land after the Partition of India. The circumstances under which he acomplished this task are mentioned here. 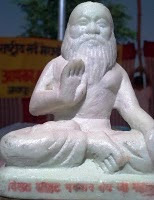 LAND OWNERSHIP RIGHTS: It may be mentioned that Arya Samaj, Sialkot (Pakistan) had got registered a 'Charitable Trust' named 'Megh Uddhar Sabha', managed by Ganga Ram, in the first quarter of twentieth century to promote education among the 'Dalits', as a part of their strategy to keep them away from conversion to Sikhism and Islam. It was a time when all religious organizations namely Islam, Hinduism & Sikhism in Punjab were to some extent competing with each other in this connection from demographic view-point to safeguard their respective future political interests. To float an educated leadership for that purpose among the Hindu Meghs, they had borne the expenses of education in law for two persons namely Hans Raj, and Jagdish Mitter respectively, both of whom completed their LLB degrees in 1935. Jagdish Mitter unfortunately died shortly after his education. Hans Raj Advocate after joining his profession in law came into contact with various political personalities including Mangu Ram Mugowalia (Dist. Hoshiarpur), an Ambedkarite, who had already started Ad-Dharam movement in Punjab; and through whom he also came into touch with Dr. Ambedkar as well. Consequestly, the philosophy Ambedkarism turned him into a much rationalist and a humanist than a traditionalist. Advocate Hans Raj deeply observed the country's political scenario, as well as the miserable economic plight of Meghs including those employed as share-cropper farm labourers under the said 'Megh Uddhar Sabha'. These farm-labourers had converted the barren land into a very fertile land that had been got on lease from the British Government for charitable purpose. The Meghs employed there were quite justified in expecting 50% of crop as their justifiable share or remuneration, particularly when land was for charitable purpose. However, they were paid only one-third of the crop as their share. While observing their miserable plight, Advocate Hans Raj felt very much pained due to this economic exploitation of Megh farm-labourers at Arya Nagar, Teh. Khanewal, Dist. Multan; but, their demands were rejected by the 'Trust'. Consequently, there was also learnt to be some bitter altercation between 'Trust' authorities and farm labourers. Consequestly, due to this dishonest drama of 'Charity', Advocate Hans Raj revolted against the Arya Samaj, and won a court case against the said 'Trust', practically managed by Arya Samaj, who are rather pompuously described by many as great social reformers for Meghs of Punjab. Sensing their defeat, just before the anouncement of court's verdict, the 'Trust' athorities, to save their honour had verbally anounced that the share-croppers were the owners of land allotted to them for cultivation! As a result of favourable verdict in this case, the share cropper Meghs became full fledged land-owners, because Advocate Hans Raj had wisely represented their case before the court. RESERVATION: Dr. Ambedkar had laid the foundation for empoverment of 'Dalits' by signing the 'Poona Pact'. Through his advice and suggestions in the Governing Council of India under British Government, it was possible to implement the 'reservation system' derived from the Poona Pact. For this purpose, Dr. Ambedkar was made member of the Indian Franchise Committee, which was empowered to form the State Franchise Committees for each state to decide about the quantum of separate political representation of 'Dalits' in the legislative bodies based upon the extent of SC/ST population in each state, as per the provisions contained in Government of India Act-1935. Advocate Hans Raj worked for preparing of schedules (lists) of socially and economically deprived castes, tribes and communities. As per the 'Writings & Speeches' of Dr. BR Ambedkar, a ten member Punjab State Franchise Committee consisting of Hindu, Muslim, 'Dalits', and Sikh representatives was appointed to investigate and identify communities or castes/tribes that were both socially and economically weaker for the purpose of giving them representation in political structure of India, as well as in the services. Advocate Hans Raj and K.B. Deen Mohammad (Megh, converted to Islam) were appointed as members to represent and look after the interests of 'Dalits' of Punjab in their studies on the subject. Among the Hindus, Chhotu Ram and Pt. Nanak Chand (both Arya Samajists) were also the members. After their study, nine members of the Committee (including Hindus and a Sikh) reported that in the then undivided Punjab, it was immpossible to say that there were any 'Dalits' or SC/ST communities whose civil rights were violated because of their respective religions. However, they added that there were some classes in the villages whose economic and social situation was definitely miserable. They also reported that though there were no 'Dalits' among the Muslims, yet there were 'Dalits' among Hindus and Sikhs and their total population at that time was shown 1,30,709 only! The Meghs and some other communities were not mentioned in their report and the figures of population were astonishingly shown to be too low. Thus, the Committee of Punjab in its majority opinion had flatly denied the existence of any 'Dalit' or 'Untouchables' in Punjab. Actually, the term 'Dalit' was used was used by Dr. Ambedkar for the 'Untouchables' (Aachhoot), so as not to hurt anybody's feelings. However, Advocate Hans Raj in his separate (dissenting) independent report mentioned that the list of 'Dalit' communities was incomplete; because many communities (including Meghs) were left out during the study. More or less, similar reports were received from other states of India, because of the dishonesty demonstrated by the high caste members including the Arya Samajis. Those very Hindus who never disputed the existence of population of 'Untouchables' upto 1931-12 Census report started denying their existence! Because, they imagined that the quantum of Hindu seats might get reduced by relinquishing a share of it in favour of 'Dalits' in proportion to their population. KB Deen Mohd. was under the pressure of Islamist fundamentalists, who believed that all Islamists were equal in the eyes of 'Allah' and therefore, he was supposed not to report any 'Muslim' as 'Dalit' so as to demonstrate the superiority of Islam. In reality, the leadership of Muslim League (like the high-caste Hindus), also felt that if a section of Muslims were declared as 'Dalits', they would be demographically at a great disadvantage in any future course of political action in already Hindu-dominated India. Therefore, he reported that though there were some economically weaker people, yet there was no social discrimination among the Muslims. Ultimately, Dr. Ambedkar accepted the recommendations of Advocate Hans Raj, and Meghs alongwith others like Ad-Dharmis, Ramdassia, Ravidassia, Julaha, etc. were included in the Scheduled Castes list. Simultaneously, the Arya Samajists had started propagating among 'Dalits' that in view of government's attempt to enlist the 'Untouchables' as Scheduled Castes, if any of the communities among them got registered in that list, it may result into permanent stigma for them to be called as such 'Untouchables'. This propaganda was particularly carried on through the Arya Samaj priests throughout Punjab. A good majority of these priests included the Megh Purohits who by then had been educated upto primary or elementary level in the Arya Schools run by Arya Samaj and had thus been brain-washed. Consequent to this propaganda, many of the Meghs and Kabir-Panthis even gave out to the 1941 and 1951 census operations authorities that they were Bhagats i.e. not Meghs. But later on, when they realized the benefits of reservation, they gradually reverted back to give out the true information that they belonged to Megh community. This is the very unique example of how the ignorant people through repitition of an un-truth over a hundred times or so can be befooled by 'Hindutva' zealots. ALLOTMENT OF LAND TO MEGH MIGRANTS: After the Partition (1947) of India, Advocate Hans Raj migrated to Delhi, and established contacts with Rameshwari Nehru (Raina) w/o Brij Lal Nehru, nephew of Motilal Nehru and cousin Jawaharlal Nehru. Rameshwari at that time had been doing commendable work for saving, tracing and resettling displaced persons who had migrated from Pakistan to India. In 1949 she was appointed Advisor to the Ministry of Rehabilation, Governemnt of India. Advocate Hans Raj explained to her the miserable plight of displaced migrant farm-labour migrant Meghs from Pakistan and requested her to get issued orders for allotment of evacquees land to them. She agreed for allotment of agricultural land to migrant Meghs in Dist. Alwar, Rajasthan. Late Advocate Daulat Ram, MA, LLB, (Megh-with helpful attitude) R/o Jammu-Tawi was the Settlement Officer, Rehabilitation Deptt., GOI, Stationed at Jalandhar to look after the cases of re-settlement of migrant refugees in Punjab. Advocate Hans Raj remained in touch with him for the implementation of the Government's orders. From among the displaced migrants, two prominent persons Bhagat Gopi Chand, and Bhagat Buddha Mal (both educated upto Under-Matriculation and Primary levels respectively) were made to remain in touch with Advocate Daulat Ram for paper-work formalities. This is how the allotment of land in Alwar was got acomplished by Advocate Hans Raj, and Advocate Daulat Ram respectively, without whose initiative and sincere efforts, all of it could not have been possible. POLITICAL REPRESENTATION: Under the Government of India Act-1935, the British Government held popular elections and constitued the state assemblies in 1937. It gave the provincial assemblies full responsibility for government. Much before the anouncement of elections, Advocate Hans Raj had got married with a lady belonging to Ad-Dharam community with the object to create an example of unity among the 'Dalits'. However, when before the marriage, he had sent invitations to prominent persons including Meghs and some Arya Samaji friends, most of them not only boycotted his marriage party, but also expelled him from the 'Biradari', apparently on the plea that 'Bhagats' (new name acquired by Meghs from Arya Samaj activist Ganga Ram) stood at a bit higher social level from the Ad-Dharmis and that gravity of his deviation from the established social norms was not pardonable. Behind this drama, there was said to be mischeivious hand of Arya Samaj activists, as they intended to take revenge for his having contacts with Ambedkarites, as well as for filing a court case to secure the land-ownership rights from the 'Trust' managed by the Arya Samaj. Consequently, before the 1937 elections to Punjab State Assembly, while assessing his mass base, Advocate Hans Raj decided to join the Unionist Party of India (led by Sikander Hayat Khan) that included both the Hindus and the Muslims and stood against the Partition of India. 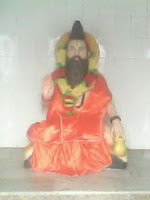 He contested elections on this party's ticket, but was defeated by the Congress Party candidate Chowdhary Sunder Singh (an Ad-Dharmi), but was defeated by the latter mainly due to lack of support from his own community, because Arya Samaj had also fielded Bhagat Gopi Chand (another Megh) just to erode his mass base and thus to take revenge! Later on, after December 1945, with the support of Unionist Party of India and the Ad-Dharm Mandal, Advocate Hans Raj was nominated to the Legislative Council.